If you suffer from minor scalp conditions, it is important to find the right shampoo product to try and combat the irritation or discomfort caused by the condition. Alphosyl 2 In 1 Shampoo is a gentle, herbal shampoo and conditioner combination that can be used to cleanse the scalp and relieve a number of common conditions. Alphosyl is a 2-in-1 shampoo used to treat scalp conditions including eczema, psoriasis, dandruff and seborrhoeic dermatitis. It should be used one or two times per week to reduce dandruff, or once every two or three days for the other scalp conditions. The active ingredient is coal tar extract, a substance which has antiseptic and anti-inflammatory properties. Once absorbed into skin cells, coal tar prevents excessive cell multiplication. 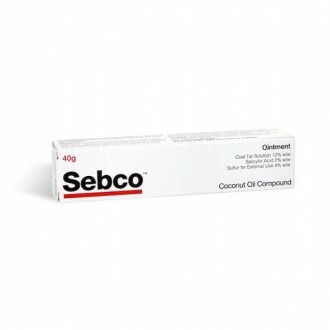 This prevents skin from becoming inflamed or scaly. Coal tar can also break down keratin, the protein which makes up hair and the outer layer of the skin. 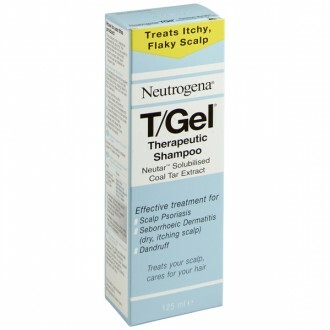 This prevents skin cells from building up on the scalp. Although your scalp may be itchy, Alphosyl will be most effective if you refrain from itching your skin while washing your hair. Many hair styling products can cause irritation or inflammation, so try to avoid these until your scalp condition has been treated. Massage Alphosyl into wet hair and the scalp. After a few minutes, you should have a lather which covers the affected areas. Rinse the shampoo out of your hair, and repeat the process if required. Alphosyl should be used one or two times per week to reduce dandruff, or once every two or three days for the other scalp conditions (e.g. eczema, psoriasis, seborrhoeic dermatitis). 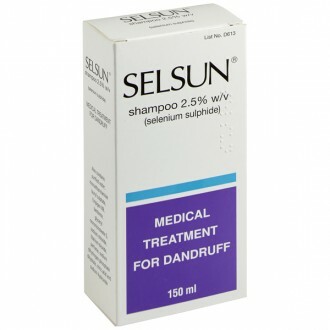 Hair loss, eye irritation, skin irritation, discoloration of hair or skin, change in hair texture, rash, swelling, increased sensitivity to sunlight. Some of the above may be due to your scalp condition. Take notice of any effects that you experience for the first time once you start using this treatment. Sodium lauryl sulphate, ammonium lauryl sulphate, lauramide DEA, herbal fragrance 41.423, hydroxypropyl methylcellulose 2910, citric acid anhydrous, guarhydroxypropyltrimonium chloride, patet blue V (E131), propylhydroxybenzoate (E216), methylhydroxybenzoate (E218), water. Do not use this shampoo if the affected area of skin is broken or infected. Alphosyl is unsuitable for you if you may be allergic or sensitive to coal tar, or to any of its inactive ingredients such as parahydroxybenzoates. Stop using Alphosyl if you begin to notice a reaction to the product. Children under the age of 12 should only use Alphosyl if advised by a GP or pharmacist. Keep this product away from your eyes and mouth. Alphosyl may increase your sensitivity to sunlight, so avoid tanning beds or excessive sunlight while using this treatment. Need to know more about Dry Scalp? What is Alphosyl used for? Alphosyl is a 2-in-1 shampoo used to treat scalp conditions including eczema, psoriasis and seborrhoeic dermatitis. 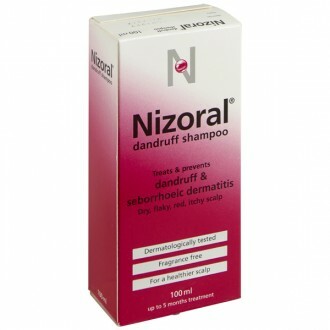 It reduces scaling, inflammation and dandruff caused by any of these conditions. 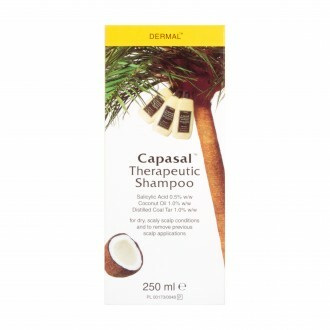 Its active ingredient is coal tar extract, which works by limiting the growth of skin cells on the scalp. It also breaks down keratin, the protein which makes up hair and the outer layer of the skin. How should I use Alphosyl? 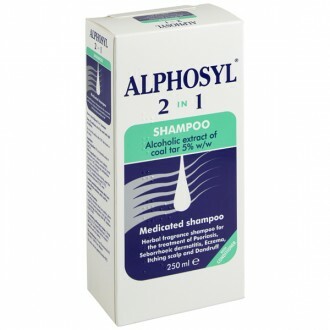 Although Alphosyl 2-in-1 shampoo is available without a prescription, you still need to follow instructions closely in order to notice improvements to your symptoms. When should Alphosyl not be used? Is it safe to use Alphosyl while I am pregnant or breastfeeding? Alphosyl is not known to be harmful to mothers who are pregnant or breastfeeding. As is the case with all medicines, though, you should consult your doctor just to be safe. This is especially important if you are in the first trimester of a pregnancy. What precautions should I take before using Alphosyl? Alphosyl can cause discolorations of the skin, hair, or of your clothes. Seek medical assistance if you swallow any of this shampoo. Alphosyl may also increase your sensitivity to sunlight, so avoid tanning beds or excessive sunlight while using this treatment.